Cockroach and ant baits pose the biggest poison exposure risk to small children, a new study has found. The University of Queensland made the discovery after analysing calls made to the Queensland Poisons Information Centre in 2014. 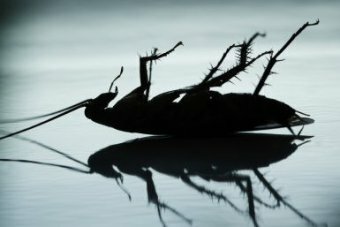 The research found cockroach and ant baits accounted for 39 per cent of the calls from parents with children under five. Bug sprays, containing pyrethroids, pyrethrins, piperonyl butoxide – and the more harmful organophosphate diazinon – accounted for almost 26 per cent of calls. The research, published in the Australian and New Zealand Journal of Public Health on Monday, showed exposure to bug sprays via direct application, typically by the child or an older sibling, peaked in children aged two. It also found of the 743 insecticide-related calls received, 49 per cent were for children under five, with calls peaking for children aged one. “They’re at that stage where they spend a lot of the time on the floor and put things in their mouth,” researcher Karin English said. Ms English said the findings showed how prevalent insecticides were in homes. She said she was surprised to find that one bug killer, sold in a spray bottle, contained organophosphate, which can make children quite ill, even in small volumes. “It shows we really need to track how insecticides are used once they’re sold,” she said.